In fact, not one thing led to the death of Tamir Rice. A number of things combined into a set of circumstances, a perfect storm of facts, that ended in the untimely and highly regrettable death of a 12-year-old boy. But, all the facts are, or should be considered, and then it becomes easier to understand why the police officers were exonerated of any criminal wrong doing in this case. Although the action of the police officer was the final and ultimate act that ended the life of Tamir Rice, what also has to be considered are the circumstances that caused the officers to be dispatched to that park that day. Probably anyone who has followed the case knows the facts so there is no point in presenting them again. It is important that people realize that what happened, although terrible, the police officer is the least culpable of all. The first thing that needs to be considered is the Police Dispatcher who took the original 911 call to generate the police response. The 911 operator was told that a person was in the park pointing a gun at people. That is the only information that was relayed to the police. However, the dispatcher also was told that the gun was probably a toy, and the person with the gun was a child. These few points the dispatcher did not feel important enough to pass along to the responding officers. I believe the officers made tactical errors when they arrived on the scene. In that they were informed only that a person was in the park with a gun, to pull up directly on scene, to not position their car to afford cover, and to exit the car putting them selves in harm’s way were not only tactical errors but were extreme errors in judgment. I was not there and do not know what happened when the officers arrived on scene and were getting out of the car. I can imagine what happen when getting out of their car and seeing a 5’7”, 180 pound person with what seems to be a gun sticking out of his waistband. Someone yelled “, Gun” and a weapon was drawn and fired almost reactionary, maybe to the shout of gun, maybe to seeing a realistic gun handle in the waistband. It must be noted that when a police officer is dispatched, they are not only armed with guns, tasers, and mace, they are armed with information. That information, along with their training, will dictate how they handle any given situation. If the information is inadequate or incorrect, that may alter their response. The City of Cleveland, Ohio must share culpability for their decision to hire Timothy Loehmann, the officer who fired the fatal shot. I do not know if he attended the Cleveland Police Academy or was hired and put on the street since he was already an Ohio Certified Police Officer from a previous employer. However, it appears the City of Cleveland was given information about inadequacies of Loehmann’s performance in Independence, Ohio. It was reported to Cleveland that he resigned from Independence in lieu of being fired. It is unknown if Cleveland failed to read the information provided to them, or if they did read it and chose to ignore it. The fact is, they did hire him and therefore some of the culpability falls squarely in their lap. Of course, it is not likely that the City HR Official or even the dispatcher will be held criminally liable for their role in this tragedy. I am fairly certain that a civil case will be filed against the City of Cleveland and its several employees for their part in this tragedy. Finally, I want to mention that many people are unhappy with the actions of the Grand Jury. The Grand Jury did what they are supposed to do. They considered the evidence and returned a decision. Based on what I have heard, they made this decision based on the fact that there was no intent to commit a criminal act by the police officer, that the police officer acted based on the information he had, and that information caused the officer to perceive the circumstances as a real and credible threat. 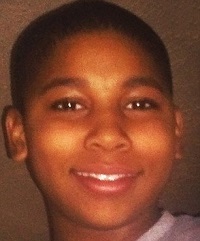 I think it is a terrible tragedy that Tamir Rice died that day. As a father I find it incomprehensible to even try to imagine how I would feel if something like that happened to one of my children. I truly feel sorry for his parents who are probably going through all the stages of grief, even to this day. I can only hope they will get some respite from their grief over time and that Tamir Rice will rest in peace.